Realize the full value of your company’s trade. Speak to us. Most large companies are missing out on significant value from their cross-border trade. For example, it’s estimated that a third of Free Trade Agreements (FTAs) aren’t used with European companies paying billions of Euros in unnecessary tariffs. Or how about the companies that don’t take advantage of the Authorised Economic Operator (AEO) permit and end up taking 15-20 days longer to ship goods to and from South America? Then there are the companies who negatively impact their cash flow by not making use of customs warehouses where you only pay tariffs on the goods that are bought rather than your entire stock. There are also the risky gambles taken by board management who aren’t aware of their customs compliance failings that may lead to huge financial penalties and even criminal charges. There are also major, ongoing changes in world trade to take into account. Political upheavals such as Brexit, trade sanctions and potential trade wars will change the status quo and perhaps even your bottom line. And there is a move towards full digitalization that means trade and customs will be handled differently. In all of this, those companies that manage their trade and customs management pro-actively, rather than simply react, will get ahead of the competition, which might even transform the future of their business. The reason most companies don’t explore these areas is because a lot is hidden from sight and can seem too complex. But that’s where we come in. At KGH, navigating trade and customs strategy as well as day-to-day operations is our core business – it doesn’t have to be yours. The first simple step is to talk to us and we can quickly give you an idea of the potential value. Then you’ll know what you’re dealing with and how we might help. Contact us to set up a meeting and a simple assessment of your current trade and customs management. 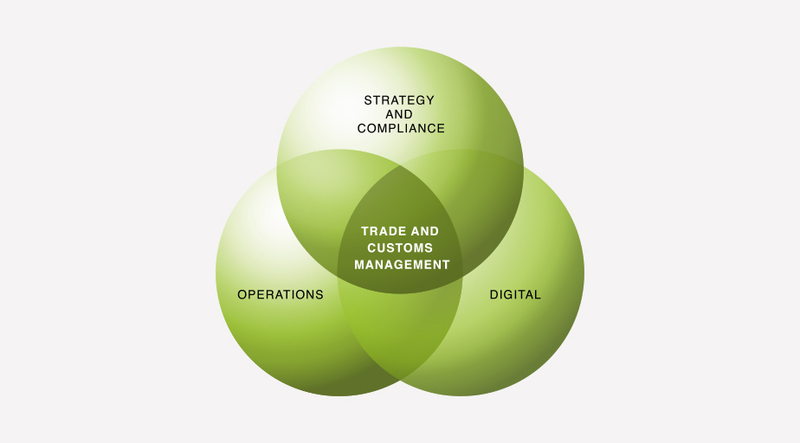 KGH optimizes our customers’ trade and customs management through innovative strategy and compliance, operations and digital services. Predictable, speedy and effective customs processes give customers competitive advantages – reducing working capital, ensuring delivery certainty and enabling just–in-time business processes. Being involved in international trade means dealing with risks on a daily basis – compliance risks as well as risks with direct economic impact. All of which must be controlled and mitigated through a structured approach. The several hundred free trade agreements for goods in force have to be utilized in an optimized way. And for goods without FTAs, customs duties must be calculated and paid correctly according to the relevant legislation. Operational customs issues haven’t been top of the agenda for most companies. This can result in lower quality, higher risks and costs. Today, coordination, centralization, harmonization and, ultimately, automation of the processes are the way forward. Sign up for our newsletter and other information to keep up with the latest developments.